Who said that everything shuts down outside during the chillier months? Encourage friends and family to don scarves, hats and boots to take a turn in your garden during winter by matching up some winning plant partnerships. Savvy selections of flowers, foliage and structure can easily add visual drama and excitement. There are other senses to stimulate, too. Fragrance is of paramount importance to plants at this time of year, to lure pollinating insects out on the wing. Exploit this reliance on heady scents to create some olfactory treats in your borders. 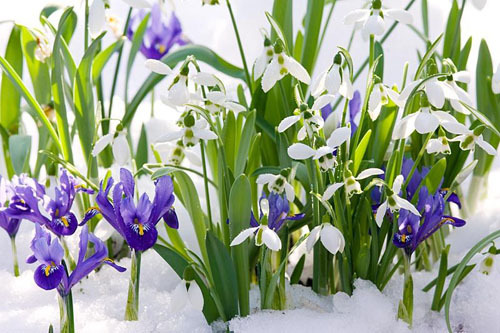 No taller than 20cm, these delicate snowdrops and reticulata irises couldn’t provide more of a contrast colour-wise. Plant en masse under deciduous trees or shrubs for an elegant statement. 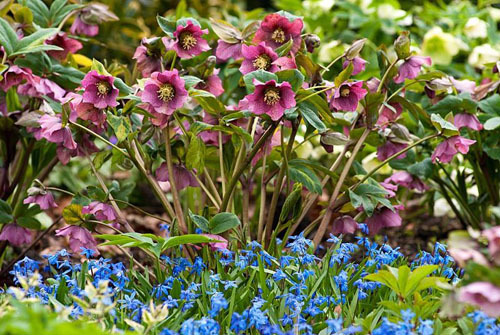 These upright burgundy hellebores would look good on their own, but they’ve been taken to another level by being cleverly combined with a dense carpet of sky-blue scillas. Diminutive in height they may be, but the golden yellow cup-shaped blooms of winter aconites gaze up at you on sunny days. 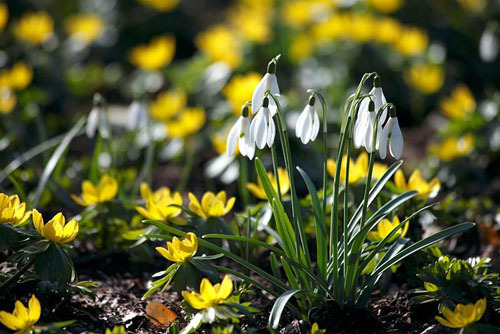 Adding snowdrops creates a mini-landscape of differing heights and shapes. This huge galvanised planter effortlessly brings your beds up to eye height. 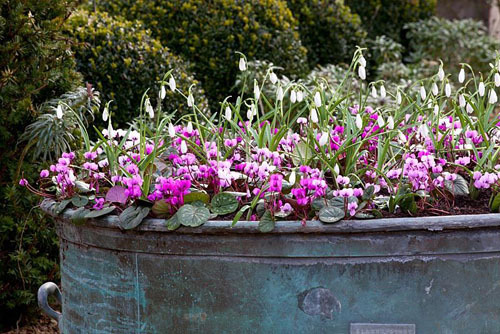 The partnership of bold, brazen Cyclamen coum and graceful, pure white snowdrops is beautifully balanced. Don’t underestimate the importance of foliage and stems. 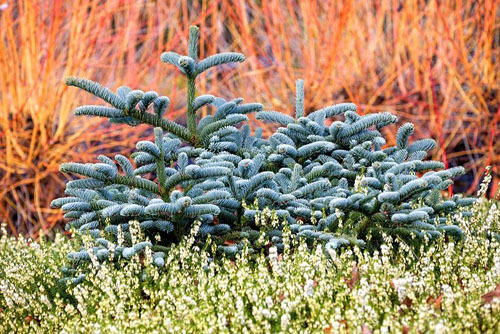 This bed of cool ericas, topped by steely blue abies, is given movement, height and warmth via a brilliant backdrop of burning dogwoods. This entry was posted in Expert advice, Planting combinations on January 27, 2015 by gapadmin.